Definitely ride Viper and Green Lantern a lot. They have so many flips, it's incredible. Another great ride is Gold Rusher. Flashback is my favorite. It's very hard to find, but it never has a line. 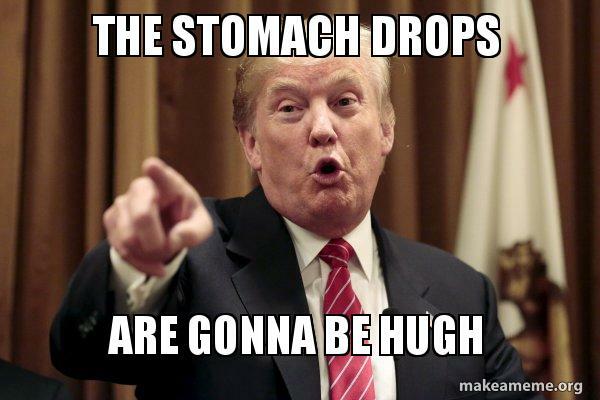 Who is Hugh and why is his stomach dropping? You should probably ask him to seek medical attention. I know. Plus it was terrible. That was an attempt at humor. Give me some credit. ;) (I did actually get that credit). Excuse them, they are having flashbacks. Terrible is an understatement when it comes to that ride. Finally got to ride it during an ACE event (probably just before it was cut up) and all I can remember is being brutally being beat up. It's on my list. It was a bucket-list ride for me. That is until I got there, then I was terrified. Something about cruising along flat knowing there was a twisted, excruciating, torture drop ahead. Ugh. Lex Luthor...it's the Hugh Laurie of drops.